Contact Harrisonburg Honda for All Your Automotive Needs! Do you have questions for our sales, finance, service, or parts department? Let our dedicated team know how we can take care of you, whatever you may need! We can all use a little help once in a while and we have a team of experts waiting to answer all of your questions. 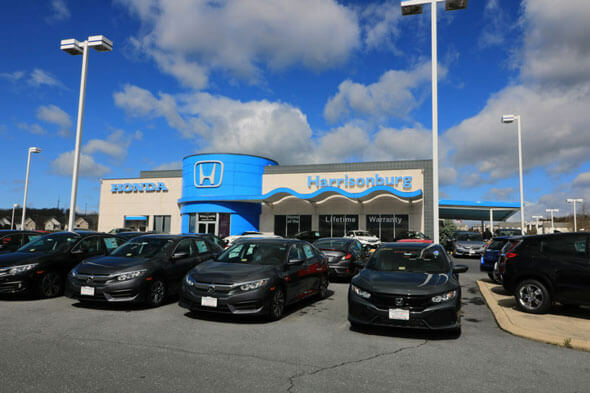 Whether you are looking to buy a new car, you need maintenance or service for your vehicle, or you are looking for genuine Honda parts and accessories, we have the people to answer your questions at Harrisonburg Honda today. Are you shopping for a new Honda or a used or Certified Pre-Owned vehicle? Do you have questions about our inventory, pricing, or features? Maybe you want to get started and need to schedule a test drive to save time. Whatever you need our team of sales professionals is standing by to answer all of your questions. They have the knowledge and tools they need to serve you so you get the help you need, fast. If you have questions for our finance team about our credit application, interest rates, or what it takes to get financing, we have a team of experts assembled to serve you. You can reach our team by phone by dialing 540-433-1467 and the answers you need in a timely fashion. You can also reach out online by filling out the form below and we will be happy to get back to you with the answers you need. Of course, you can always stop by in person and see us to at 2885 S. Main St. Harrisonburg, VA 22801. Do you need to schedule routine maintenance based on the manufacturer’s guidelines? Is your vehicle acting up and you need a team of experts to diagnose and repair it for you? Maybe you need to know your vehicle’s warranty information. Whatever you need, our service department has the team of experts you need to answer your questions. Our Certified Technicians can answer your questions online if you prefer; all you have to do is ask. You can also schedule a Service Appointment on your schedule. If you are looking for genuine parts and accessories, you can order online through our Parts Department. You can access our entire suite of automotive services right in the comfort of your own home, or visit Harrisonburg Honda at 2885 S. Main St. Harrisonburg, VA 22801. You can reach us by using the contact form below or by dialing 540-433-1467 if you prefer to talk to us on the phone. We are here to serve you!